Are you confused as to which web hosting should you take? I know if you have to choose the best web hosting service from different types then it lead to a lot of confusion specially when you are not aware of what all possibilities and web hosting types that are available to you. In this article, I have summarized various types of web hosting that are available in market these days to choose from and I am sure that after going through this article you would definitely be able to decide the best web hosting for your web site. you a second level domain along with the hosting for example www..com. There are many companies that use free web site hosting when they initially start their business. At the initial stage companies do not have so much money to spend so they go in for free web site hosting. In return web hosting companies earn money from referral and advertisement clicking. just like shared web hosting, reseller web hosting is also a cheap and an inexpensive web hosting method for startup companies. The VPS web hosting or Virtual Private Server web hosting is a hosting method in which a physical server is portioned into small multiple web servers in such a way that each web server runs on its own dedicated machine with same capabilities. Each web server operated and runs on its’ own Operating System and can be rebooted independently without interrupting other small servers. This web hosting method bridges the gap in the Shared and Dedicated web hosting services by giving the customers an independent VPS service. The Virtual Private Server (VPS) web hosting method operates on its own Operating System thus giving each user highest access level. User can install almost any software on its Operating System which is not at all possible in case of Shared or Dedicated web hosting types. Another type of web hosting service is the ‘Dedicated web hosting’. It is a web hosting service in which client rents the complete web server which is not shared with any other client. Dedicated web hosting is even more flexible than Shared web hosting as the client has the complete control of the server or services. Client on his or her own wish can install any Operating System, hardware, software and so on. Client can however get the server administration from the web hosting company as extra services. Generally you get great returns when you investment and use this web hosting type. Another web hosting type is the ‘Managed web hosting’. In this web hosting service, client gets his or her own web server however they are not given full control of it. User can only manage data via File transfer Protocol or FTP on the web server. The reason behind not giving full control of web server to the user is to provide top quality service without interference. Generally user does not buy server on the other hand it is leased to him by the web hosting company. Now let me tell you about ‘Colocation web hosting’. It is the hosting type that is same as the Dedicated web hosting. The only difference in this hosting type is that user buys the colo server. 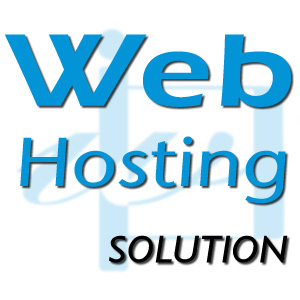 The web hosting company just offers physical space and the maintenance of the server. Colocation web hosting thus proves to be the most expensive but powerful hosting service. Colocation providers generally provide no or very less support on the client machine. They are just responsible of providing Internet access, electrical and storage facilities to the server. Thus the companies going in for this web hosting type need to keep in their own administrator for the server maintenance and upgrades. A new type of web hosting is the ‘Cloud web hosting’. This web hosting provides its customers with scalable, reliable and powerful hosting with the help of utility billing and collection of load balance servers. The main advantage of this web hosting is that customers need to pay only for what services he or she uses against what he or she could use. There is another web hosting service that makes use of multiple hosting servers and this is called as the ‘Clustered web hosting’. Clustered web hosting is the perfect replacement for Dedicated web hosting. In this web hosting type, same content is hosted on several servers and thus lead to better utilization of resources. ‘Grid web hosting’ is another web hosting type that can be rightly said as another form of distributed web hosting. In this web hosting type there are multiple web hosting servers that actually act like a grid with several nodes. ‘Home server’ is one of the types of web hosting where a single machine is kept in home and is then used to host single or multiple web sites. The internet connects in this case is the broadband connect that the customer has applied for. Usually old computers kept at home are made the server and the web site is hosted using them. However there are some ISPs that block this web hosting type by not allowing the requests coming from customers’ TCP port 80. The reliable and the best solution toit is using a trustworthy DNS host name. You can create account with Dynamic DNS service. This will solve your problem in such as way that a Dynamic DNS service will change your PCs IP address pointing to the URL to a new IP address change. Microsoft Exchange Server is a powerful enterprise level software that is used to secure business communications, facilitate business management, and mediate online collaborations. This software is utilized by thousands of successful businesses every day, primarily because of its ability to simplify corporate communication and enhance overall productivity. Windows exchange hosting is a type of hosting service that includes Microsoft Exchange Server preinstalled on the web server, ready to be used for no additional cost. Microsoft Exchange hosting is ideal for online business owners that would like to take advantage of Microsoft Exchange Server, without having to invest $1000 on the software. The following information reviews the basics and benefits of Windows Exchange hosting. The primary focus of the Windows Exchange hosting plan is to provide access to a fully functional copy of Windows Exchange Server, as well as the server resources the software needs to function optimally. Windows Exchange hosting providers offer comprehensive support related to the use of software, administrative server management assistance, and enough bandwidth and disk space to facilitate the creation, storage, and transmission of large amounts of data. With a Windows Exchange hosting solution you’ll be able to start utilizing Windows Exchange Server from day one, without having to pay an Internet technology specialist or tutor to teach you how to use it. In fact, many Windows Exchange hosting services include detailed tutorials and instructions for using the software. If you were to set up a Windows Exchange hosting solution yourself you would need to make several significant investments, both monetarily and temporally. First, you have to purchase a license of Microsoft Exchange Server, and install it on your Web server. In order to install such software, you would need to have access to a dedicated or virtual private server hosting solution, both of which are just as expensive, if not more expensive than a Microsoft exchange hosting service. On average, Microsoft exchange hosting providers offer services for about $10 per month per mailbox. Thus, you would have to have more than 200 employees to warrant investing the money for a private Web server and a license of Microsoft Windows exchange. By choosing to utilize the services of a Windows Exchange hosting provider you are also ensuring the most reliable and stable platform for your business communications. These services usually utilize networks of VPS or dedicated servers, both of which provide extensive server resources and supreme stability. By choosing to purchase a Windows exchange hosting plan rather than host the application on a private Web server, you’ll also gain access to redundant Web server’s and multiple ultrahigh speed Internet connections through the state-of-the-art data center owned by the web hosting company. Thus, if an error occurs with the software or a Web server goes down unexpectedly, your data will immediately be transferred to a working server within the hosting environment. With new web hosting businesses being born every day, and the web hosting industry (one of most competitive industries in the world) expanding at a rapid rate, it is becoming increasingly difficult to sift through the mountains of advertising material and sales pages effectively. Fortunately, if you use the right set of criteria in the proper order of operations, choosing the right web hosting plan or provider can still be a relatively simple process. Knowing which aspects of web hosting plans are most important can help you save time when comparing the most essential attributes and features of each plan. The following four crucial aspects should be considered when examining any prospect of a web hosting provider or plan. First and foremost, it is important to decide whether you need access to a web server that utilizes the Linux/UNIX operating system or the Windows operating system. This decision should be based on your individual website needs and the development technology you use(d) to design and create your web pages. Websites that are developed using Microsoft technologies such as ASP and VB will require access to a Windows server to function, while the majority of other open-source programming technologies such as PHP, Python, and Perl can function optimally on Linux-based operating systems. After deciding which web hosting platform would be most suitable, it’s best to begin comparing the most essential features between each plan. Some of the most important features to compare include the amount of disk space, bandwidth, databases, e-mail accounts, and domains allowed with each plan. As mentioned, it is also important to consider which programming languages and platforms the web hosting plan is compatible with. It is also important to look for features such as uptime and money back guarantees, as well as server redundancy and scheduled server backups. After establishing your web hosting needs and narrowing the list of prospective plans, it’s time to begin comparing the prices of each plan. Unfortunately, the majority of novice webmasters choose to carry out these steps in the opposite order, choosing a plan based on price rather than establishing their server needs and comparing features and platforms first. If you want to ensure optimal performance and the highest rate of success for your websites, then you should never choose a web hosting provider based on price alone. Only begin comparing the prices of similarly sized plans after you have narrowed your list based on the two aforementioned aspects. Most people overlook the importance of having access to responsive, friendly, and knowledgeable customer service. That is, until something malfunctions and suddenly your websites are off-line or all of the pages are loading slowly. When this happens, you’ll need access to 24-hour support that is competent enough to handle any administrative tasks, regardless of what time of day or night it is. Thus, it is best to test the responsiveness of each web hosting provider’s customer support staff by calling them at random times and seeing how long it takes, and in which way they answer all of your inquiries.